I’m from a BMX background, always loosing skin doing endos or 360’s. Usually in flip flops! I learned to ski in Glenshee at the age of seven. 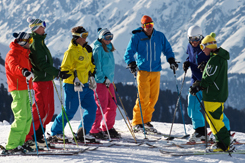 We used to ski in bin bags because it was raining so much. We used to hike through knee deep mud to the one and only button tow, but it was still worth it. Before I started snowboarding I was obsessed with mogul skiing. I entered the European mogul challenge one year and won an event. I think Id reached a level that I thought was my limit and therefore I started to become bored with it. Also, I felt skiing was way too structured and that snowboarding had a much more open view on how the mountain could be ridden. Also the prospect of so much to learn with a snowboard excited me incredibly. Its a rare occasion that I put on skis these days. Nothing against skiers. Some of my best mates are skiers, but I love snowboarding and want to keep doing it for as long as the gods permit it. After many seasons of cooking, meeting new people and developing my riding. I took my instructor quali?cations and landed a job in Andorra. Great times were had in the Soldeu/El Tarter Snowboard school. A truely great place. Everyone should go to the Pyrynees once. I worked on the Spanish speaking side and had the pleasure of meeting many Argentinians, Spaniards and Andorrans. They taught me descent Spanish and how to drink Mate (herb tea) through a straw. Lovely people. 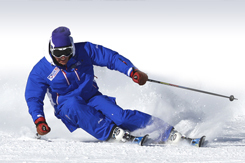 In my 8 seasons there I learnt so much from all the snowboard instructors that I worked with and was especially inspired by Neil McNair, Mark Seller and Danny B. My technical and style gurus. We had a thing called EMC, early morning crew. We could get on the hill 30 minutes before the public. We used to shred the best lines on the hill before anyone else could even get up there. Epic times! 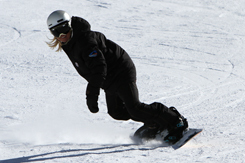 Andorra was the perfect training ground to be an instructor. I was privileged to be part of it when it was at its prime and it set me in good stead to take my skills to France. 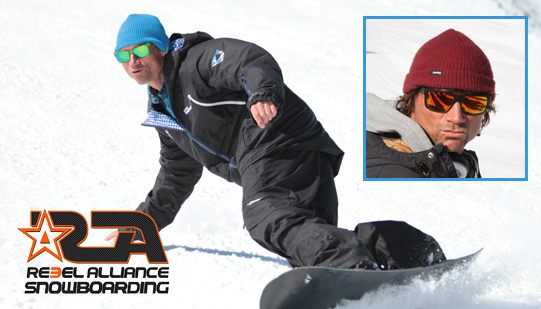 On arriving in the Alps I set up Alliance Snowboarding Ltd, a school that I am so proud to have been a part of. Alliance needed to go its own direction. Im super grateful for the memories and the good times, but things change. So what now? Im focusing on areas of riding that I am the most passionate about and believe I coach best. 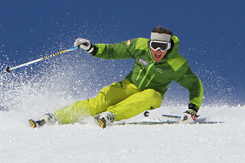 off-piste, young riders, performance courses, private lessons and freestyle sessions. Last year was my first year setting up for myself and it was the best season I have ever had. I had so much support from previous clients that to be honest after doing this job for so long they are some of my best friends nowadays. Guess thats the ultimate perk of the job really. So, for this year, my goal is teach to the best of my ability and enable each and every person that comes to ride with me to have the snowboarding experience of their lives. I love a challenge.